Two weeks (plus a few days), I walked off a curb (without intending to walk off said curb). OUCH! I wound up in the E.R. and had several x-rays taken. The good news was that it was not broken. The bad news was that I had indeed damaged some ligaments. The swelling began immediately and turned into a lovely goose egg on top of my foot (not my ankle) within 10 minutes. The next morning the goose egg was mostly gone but the green and purple were beginning to bloom. A week later the purple had migrated. This first pic is from the day after when the swelling had mostly gone down, but not completely. 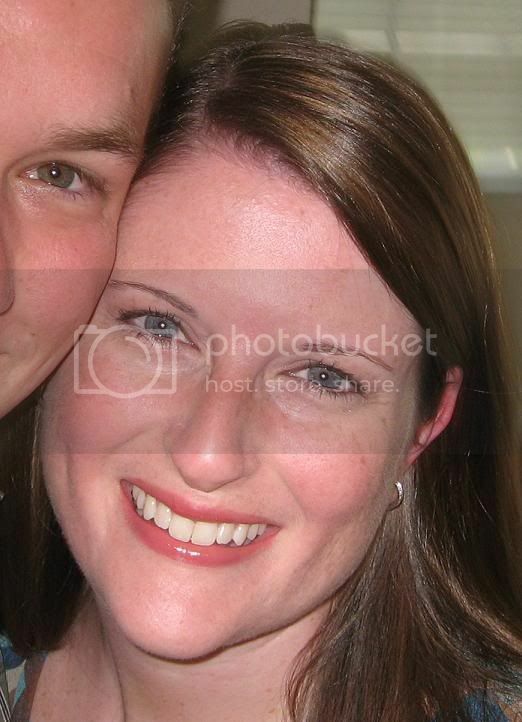 The second pic is from a week or so later when the color had migrated a bit. I am walking without a splint or ace bandage now (YIPPEE!!!!) but I am still a little slower than normal and still feel quite bruised. I will be allowed to begin exercise walking behind my double jogger again the last few days of July, which is good because I will need a couple of months to get back up to speed so I can run in the Austin Skirt Chaser 5k. That's right, folks, I said "Skirt Chaser". check it out. Yikes, Kells! That looks PAINFUL! Glad to hear it's getting a little better. Can you hear Coach Waples in the background saying, "Rest. Ice. Compression. Elevation."? Ah, Coach Waples. I was thinking about him just the other day and wondering how he is doing. I am glad to be feeling better, too! I can't wait to be able to exercise again. It stinks to not be able to. Reminds me of my cheerleading accident during my senior year of high school.